Righto, trying something different for the next of our semi-regular Norn Iron Shiter Meet-ups - the next chod-bothering event for peeps in the Greater Belfast area and beyond is now pencilled in. 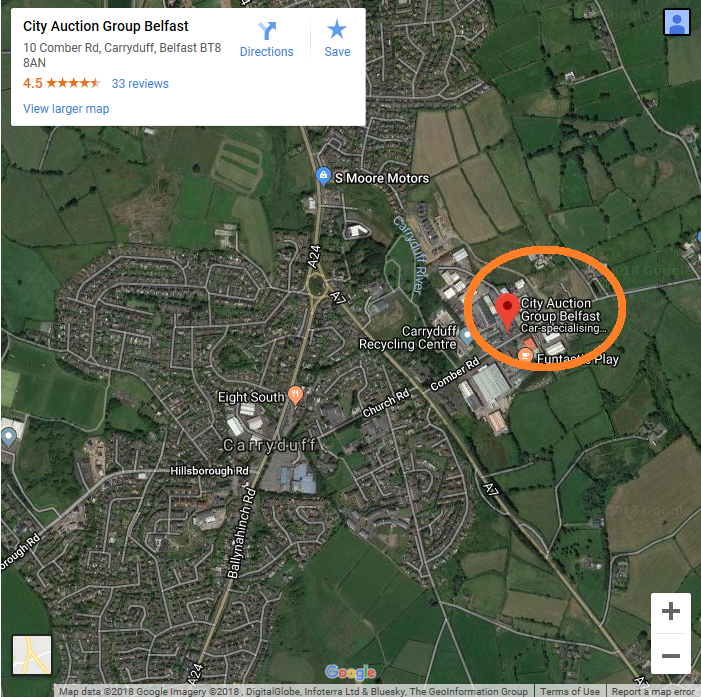 VENUE: the slightly-misleadingly-titled Belfast City Auctions complex in Carryduff (formerly known as Carryduff Auctions). Same format as before, really: rock up in your shite vehicle of choice, gasp in shocked disbelief at the shonky heaps lined up for the ring, play e.coli roulette with something from the burger van (assuming that catering exists? ), and look around you for some similarly confused looking people, one of whom may be sporting an Autoshite t-shirt (damn, I'm starting to wish I'd gone for a hoodie now the weather's on the turn). Shite-related chat, snide comments about VAG products and the chance to come home with an unexpected 'bargain' are definitely, totally, 100% guaranteed*. Terrible potatocam twilight pix followed by a bitchy writeup a week or two later about the night's proceedings is also highly likely to occur. Meeow, pussycats. Check out the relevant thread to find out what you've missed so far, and add your name if you fancy it!